Are you a fan of eyeshadows? I for one is suuppperrr addicted! I am not a lipstick person nor a blush person but I am an " eyeshadow" person..if there is one! I just feel like one can never have too much eyeshadows..hahaha.. Back in college, I've been known to wear green and purple eyeshadows in school. When I was in Manila, I went to Suesh in Market!Market! just to browse around and see what's inside the store. I saw that they are also selling invidual eyeshadows and of course being an "eyeshadow" addict that I am, I immediately bought the shades that I really liked. Bought from: Suesh located at Market Market! This is my sister's favorite among the three and I can easily see why. It is a dark pink with shimmer. I picked this one because I do not have this shade and I think this will look good on my most skin colors. This one is kind of a boring color but definitely a staple. 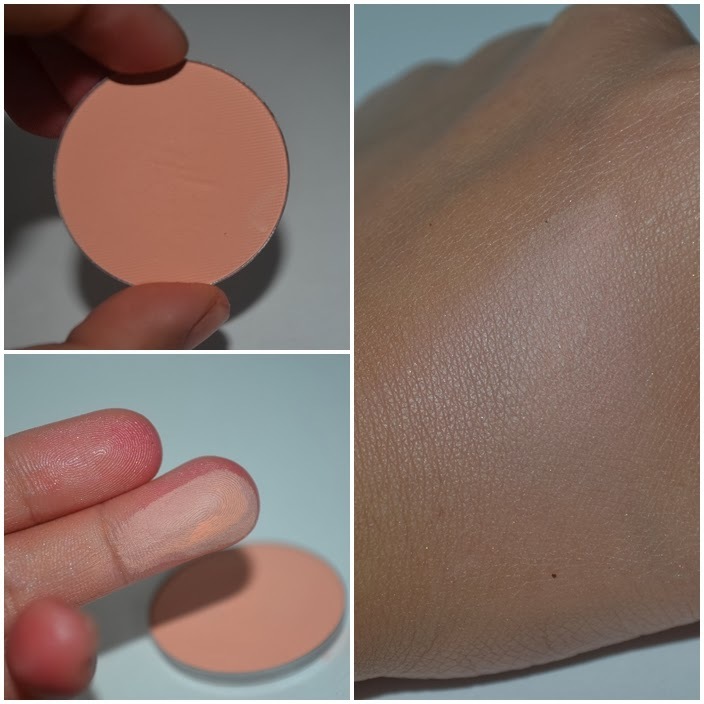 A light beige shade like this is a good all-over-the-eyelid color or can be used as a highlighter under the brows. All in all, the eyes hadows are good quality. They have very minimal fall out and quite pigmented. I also like the fact that they aren't too powdery and quite compact. 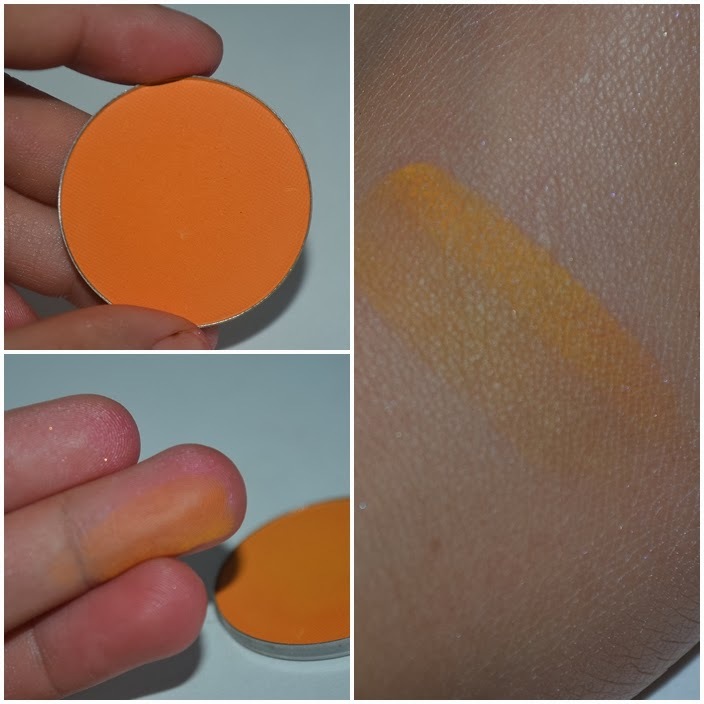 My sister and I have tried these shadows and they last long on the lids and has very minimal creasing even without a primer. They are packaged individually and you can buy empty palettes there as well. As for me, I only bought three and I think the plastic "container" that it came with is durable enough. Anyway, here is a video of my haul with my twin sister. I have not uploaded a video recently because I was a little busy but I did buy quite a number of stuff and I'm quite excited to make tutorial and more reviews soon! How about you? What eyeshadow color do you like? Please do share below! Your skin looks flawless! I love these colors on you, the orange especially - they just make you GLOW. really! wow!haha thank you for dropping by! so true! I just hope they have more colors! I love the orange shade! I am yet to experiment with bright colors but this shade looks gorgeous! Awesome pigmentation and wow, you girls have such flawless complexions! I'm not sure I could pull off that bold orange shade, but you certainly can! Either you have amazing skin, or you are wearing incredible makeup. :) You look gorgeous! more because of the lighting... thanks! Well aren´t you pretty :) Perfectly applied make-up! For some reason I love the orange shade... I am quite surprised myself as normally I am not an orange fan but ... now I want it! Girls, you look adorbs! Love the orange one and the beigey one too! Such pretty colors - I absolutely adore that orange hue. You both look just amazing, and those pups? So. Ridiculously .Cute. the orange shade looks great! Wow, I love all three. And they are so cheap. Where do you find it in Market Market? OMG! The plum is so nice...and your skin is soo flawless! you two look amazing. Very pretty makeup for great nuances. Those are lovely colors. I haven’t tried those shades. It looks good on you both. The colours look great on both you and your sister! 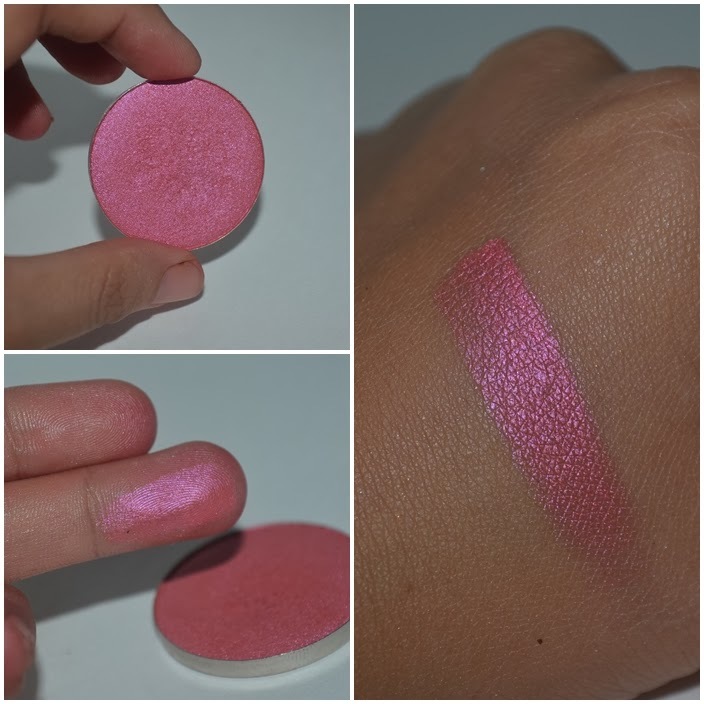 Never heard of this brand but that pink shade looks amazing! Those colors are really pretty! Love the pink!